The conclave, the secret papal election, begins March 12, 2013 in the Sistine Chapel, which has been closed to the public while Vatican staff readied the vestry for deliberations. The first public signs of those preparations appeared over this past weekend as workmen scaled the roof of the chapel on Saturday to install the chimney which will release the black or white smoke. Also, a pair of stoves have been installed inside the chapel. One is used to burn the cardinals' ballots after they are cast and the other to send up the smoke signal...the one that alerts the world that a vote has been taken and whether there's a new pope. Black smoke signifies that no new pope has been chosen. White smoke means a new pope has been chosen. Cardinals, regardless of age, have been meeting in daily sessions for the last week called General Congregations. The final General Congregation will take place March 11, 2013 the day before they are locked up in the Sistine chapel. The discussions during this period of time have been centered around, "How most effectively to present the Person, message, and invitation of Jesus to a world that, while searching for salvation and eternal truth, are also at times doubting, skeptical, too busy, or frustrated." There are discussions on such subjects as preaching, teaching the faith, care of the poor and sick, and support for the church's clergy and the families that make up their congregations. At the end of these discussions the Cardinal Electors will have a sort of game plan to go by to make their decision on which Cardinal meets all the requirements to be elected pope. The decision will be made by Cardinal Electors, the 115 Cardinals of the Church under the age of 80, who arrived in Vatican City from all across the world. The Cardinal Electors will move into a Vatican hotel, and will not be allowed to speak to anyone outside the conclave. They will attend a special morning Mass in St. Peter's Basilica. The Cardinals will cast their first vote March 12, 2013 in the afternoon with subsequent votes taken over the following days until one of the contenders gains the 77 2/3 + 1 votes it will take to elect the head of the world's 1.2 billion Catholics. The longest conclave held since the turn of the 20th century lasted five days. 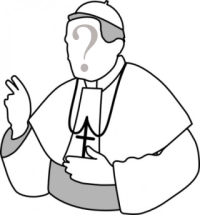 What Can You Do To Help The Papal Election? Pray for the Cardinal Electors! O Lord Jesus Christ, Supreme Pastor of Your Church, We thank you for the ministry of Pope Benedict XVI and the selfless care with which he has led us as Successor of Peter, and Your Vicar on earth. Good Shepherd, who founded Your Church on the rock of Peter's faith And have never left Your flock untended, look with love upon us now, And sustain Your Church in faith, hope, and charity. Grant Lord Jesus, in Your boundless love for us, a new Pope for Your Church Who will please You by his holiness and lead us faithfully to You, Who are the same yesterday, today, and forever. You can also pray in a very special and dedicated way by adopting a Cardinal. Go here to find out how hundreds of Catholics are adopting a Cardinal not just for this Conclave, but for life...to pray for now and always. You can follow along the whole Papal Election process by watching dedicated Catholic news sources such as EWTN and catholicculture.org.